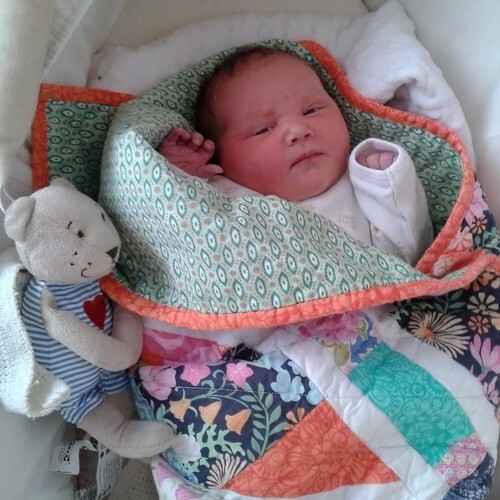 After what felt like the worlds longest pregnancy, our little bundle of chubby baby loveliness finally joined us on the 12th of March, 8.32am UK time, weighing in at a hefty 9lbs 12 ounces, in perfect health. We have named her Alexandra (after much debate, and with another name picked until 2 weeks before she arrived), and after the initial shock of her arrival (her big sister was 8lbs, and I hadn't expected baby A to be quite so much bigger), she is settling in beautifully with our little family. Thank you to everyone for all of your cheerleading and support, especially in the final few weeks, it really helped! Well done you. She's beautiful. I had a 10lb babe. She's 9 today and is probably the smallest child in the class! Ahh! Congratulations. Love that you got to wrap her in a quilt right away. I wasn't a quilter yet when mine were born! Love that bottom photo. 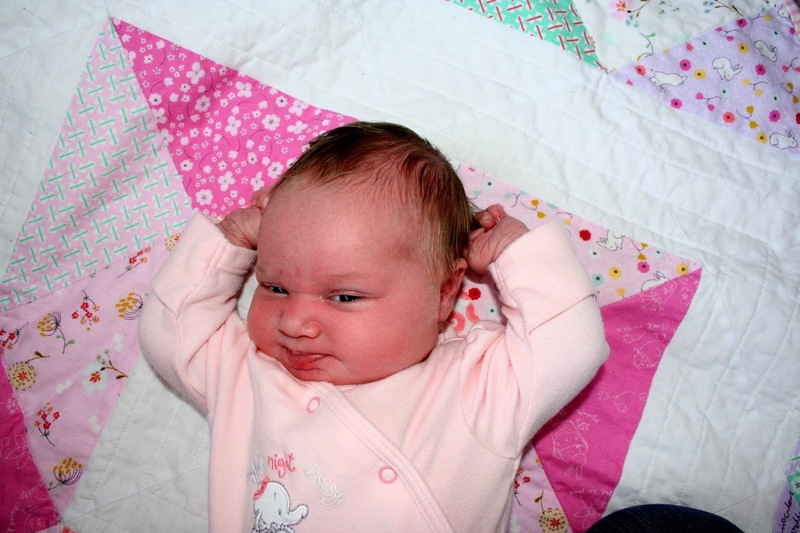 Looks like she is already getting ready to argue with you. I shall be up to meet her face to face soon. She's so scrummy. And look at all her quilts! Wooohooooo, congratulations with gorgeous baby Alexandra!!! Such a lovely name. She looks a real cutie! congrats ange!!!! she's beautiful and her expression in that last photo is priceless, haha :) i can already see she's going to have a super fun personality!! 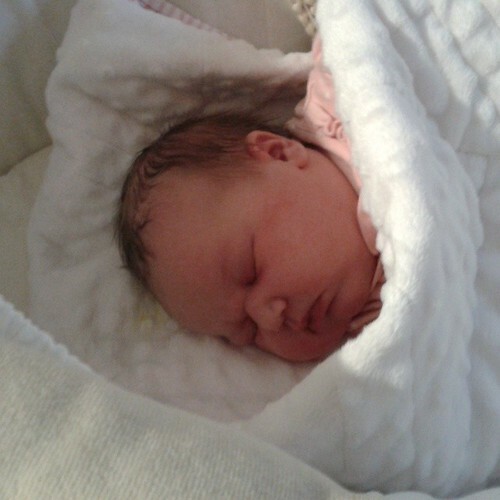 Many congratulations Ange & family, she is absolutely beautiful! Oh look, you need to change your about me now too! She is lovely and I hope you are having a wonderful time getting to know her. Love pic 3!! That's a cheeky face. I would love to kiss those chubby little cheeks! Adorable! Congratulations and welcome baby A!